We will be planting trees again this year! 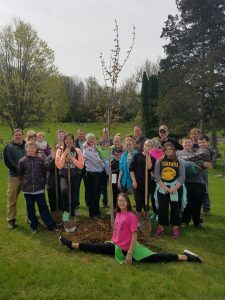 April 26th will be planting day, with 8th grade students from the Richland Middle School! Fun fact: The first Arbor Day (from the Latin arbor, meaning tree) was held on April 10, 1872, and an estimated 1 million trees were planted that day.